The ARRL Letter Will Not Be Published on July 5. Because of the Independence Day holiday, there will be no edition of The ARRL Letter on Thursday, July 5, and there will be no edition of ARRL Audio News on Friday, July 6. The next edition of The ARRL Letter will be published on Thursday, July 12, and ARRL Audio News will resume on Friday, July 13. We wish everyone a safe and enjoyable holiday! "Baker is brutal!" That was the initial assessment from the Baker Island KH1/KH7Z DXpedition team, which arrived at the uninhabited South Pacific atoll on June 26 at local sunrise, following a 4-day sea voyage. The KH1/KH7Z team started up early on June 27, initially with four stations on the air, with additional stations and modes, including FT8, joining the fray by June 28. "Island conditions are extremely hot and difficult. Long work periods in the sun are challenging," a June 27 DXpedition news update reported. The team reported that the landing "was not too bad, but the island is an oven," with the temperature well above 100 °F by mid-morning. Despite challenging tides, the crew of the Nai'a was able to offload all tents, generators, and emergency supplies. After the initial landing team left "totally exhausted," a fresh crew arrived to put up the tents for sleeping and move radios, antennas, and generators to the storage and operating tents. "They say it never rains on Baker," the DXpedition noted in its June 28 update. "At midnight, giant squalls came through, knocking out one of our three antennas that we worked so hard to get up. We worked through the morning and [now] have 6 stations available." The KH1/KH7Z frequency plan is on the DXpedition website. DXpedition operators generally will operate split. Do not call on the DX station's transmitting frequency. FT8 "DXpedition Mode" operation is planned. Stations should have WSJT-X version 1.9.1 installed and be in "Hound" mode (check the appropriate box under the "Advanced" tab in the WSJT-X File/Settings menu). More information on DXpedition Mode is available from the WSJT-X Development Team. Plans call for the DXpedition to be "very active" on 60 meters. Logs will be uploaded to Club Log. For his June 28 Ham Talk Live! 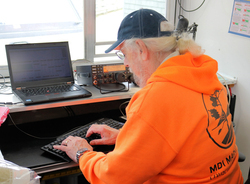 internet radio program, Neil Rapp, WB9VPG, has arranged for a satellite telephone contact with the Baker Island DXpeditionteam and will take callers via Skype or telephone. He'll also take live questions via Twitter (@HamTalkLive) or, in advance, by email. Ham Talk Live! streams Thursdays at 9 PM EDT (0100 UTC on Fridays in North American Time Zones). Hamvention® marked another successful year in 2018, General Chair Ron Cramer, KD8ENJ, told ARRL this week. At 28,417 visitors, Hamvention recorded its third-largest attendance ever in its second year at its still-new location in Xenia, Ohio. "We had a slight decline in attendance, but we think people were waiting to hear about the upgrades we made, and some upgrades did not happen until the very last moment," Cramer allowed. "Many were worried about the mud." The drop in attendance amounted to some 900 fewer visitors from 2017. Hamvention attendance peaked in 1993 at 33,669, before the 1996 change in date from April to May and while it was still being held at Hara Arena. The Hamvention 2018 Amateur of the Year was Val Hotzfeld, NV9L, who volunteered in Puerto Rico after last fall's hurricanes, on behalf of the American Red Cross. Cramer said other events in the Xenia-Dayton area cramped lodging availability, but Dayton Amateur Radio Association (DARA) organizers were "very pleased with the results and comments everyone has made this year." Hamvention's 2018 theme was "Amateur Radio...Serving the Community," and the event highlighted emergency communication forums -- many put on by ARRL -- plus a big display of emergency communication vehicles. This was a year of "fine tuning the event" through critique sessions with committee chairs and evaluating comments, compliments, and criticisms from first-year Xenia attendees and vendors, Cramer said. "From all the information we have received back already this year, from guests and vendors, we believe we have been successful and are working hard to prepare for Hamvention 2019," Cramer offered. "We expect new additions to the show and finer tuning to make sure our guests keep coming back." Read more. ARRL Headquarters team that included several newer operators as well as some veterans, who operated Maxim Memorial Station W1AW in Class 3F. 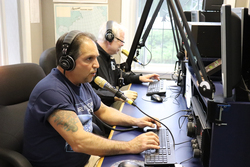 ARRL Station Manager Joe Carcia, NJ1Q, said most contacts were on the HF bands, with a handful of VHF/UHF FM and SSB satellite contacts via SO-50 or FO-29. More than 1,600 clubs and groups registered their locations on the ARRL Field Day Locator website. "Conditions were so-so on 15 and 10, but 6 meters opened for a while, and 20 and below were hopping!" Carcia enthused. "We were doing well on 80 meters well before sunset." He said the team's contact count would have been higher with more operators and longer operating periods. W1AW's 791 contacts yielded 1,010 points. On the west coast, the West Valley Amateur Radio Association returned to Mora Hill above Los Altos, using K6EI (and W6ZZZ for the GOTA station). "This year we were 14A, QRP, battery, and solar-panel powered," reported Bill Frantz, AE6JV. The club ran three CW stations, three SSB stations, and two digital stations on HF, plus VHF and UHF stations. Frantz said the GOTA station was quite popular, logging 50% more contacts than in 2017. "Since we are next to a popular trail in the San Antonio Open Space Preserve, we get a lot of bicycle visitors," he added. "Some know about ham radio and others have never heard of it. Everyone had a good time and went home tired." In Idaho, "conditions didn't seem to be the best," observed Mark Earls, K7MEE, who participated in the K7BNR 6A Field Day operation. "But we all had fun, and that's what matters. We got to try out our new-to-us mesh network." Tom Morehouse, K4AEN (left), and Rob Neece, KK4R, aboard Miss Adventure for Field Day. Tom Morehouse, K4AEN, and Rob Neece, KK4R, planned to renew "an old tradition" and take Field Day out on the Lafayette River in Virginia's Tidewater region in Morehouse's boat, Miss Adventure. The vessel had other plans, however, blowing an exhaust manifold and keeping the Field Day operation moored at the dock. After not taking part in ARRL Field Day for 10 years, Mark Chouinard, K5YAC, in Oklahoma, celebrated the recent licensing of his son Tyler, W5EAA, by assembling four stations and five operators. "We worked several stations on 10, 15, and 20, but 40 and 80 were pretty noisy with storms out to the west," Chouinard reported in his Soapbox remarks. "No records broken, but a lot of fun." A few operators braved the bands with low-power operating (QRP). Those included Len Popyack, WF2V, of New York, who used solar-charged batteries to power his Elecraft KX2 in his barn. "Phone is tough with 5 W, but CW was excellent," he reported. He logged 195 contacts, nearly all on CW. Another QRPer was Dale Mecomber, N2DM, running just 2 W to a trap dipole for 40 and 20 meters. He said 40 was the better band from his location in central New York. For Kevin Ryan, KM6KCP, and Tom Rees, KB7XL, their Class 1B operation in Nevada was a bit of a 50th reunion -- their first joint ARRL Field Day operation since getting their Novice licenses in high school. They managed 122 contacts, including two on satellite, Rees said in the pair's Soapbox remarks. QST Editor Steve Ford, WB8IMY, was among those to receive a Field Day message transmitted in MFSK64 via a 100 kW HF broadcast transmitter in Nauen, Germany. The special transmission came during the weekly "Giant Jukebox" broadcast of The Mighty KBC on 9,925 kHz. "Field Day is ham radio's open house," the message said. "Every June, more than 40,000 hams throughout North America set up temporary transmitting stations in public places to demonstrate ham radio's science, skill, and service to our communities and our nation." Additional reception reports are invited. ARRL Field Day contacts count for the International Grid Chase 2018 (IGC) activity, but Field Day stations must upload logs to Logbook of The World (LoTW), making sure that the TQSL Station Location includes the grid square of the operation. Field Day 2018 entries must be submitted (or postmarked) by Tuesday, July 24, 2018. Late entries cannot be accepted. Participants can earn a 50 bonus points for using the web applet form to submit their logs. 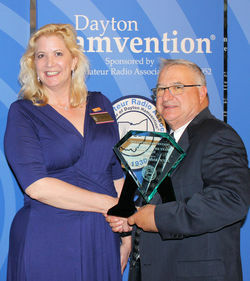 "Taking Amateur Radio on Vacation" is the topic of the latest (June 21) episode of the "ARRL The Doctor is In" podcast. Listen...and learn! 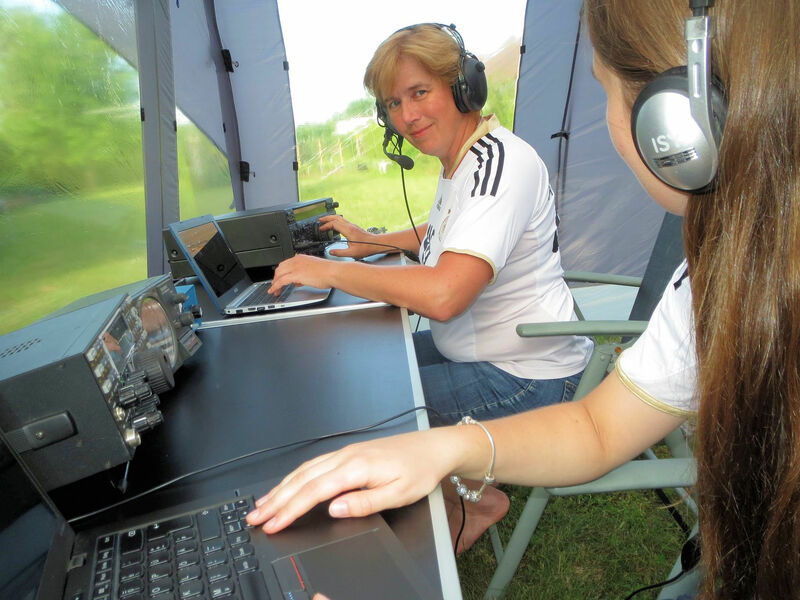 In about 2 weeks, some 60 two-person teams will take on the world and each other in World Radiosport Team Championship 2018 (WRTC 2018), in the Jessen-Wittenberg area of Germany. 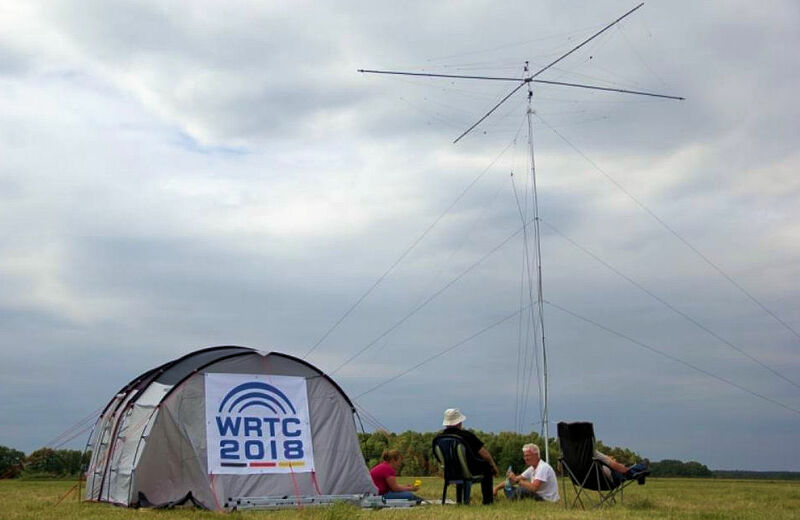 Held approximately every 4 years, WRTCs take place in conjunction with the 24-hour-long IARU HF Championship July 14 - 15, although WRTC teams are subject to additional rules specific to the competition. Several years of preparation and organization begun right after WRTC 2014 in New England have led to WRTC 2018, and a number of skills have been brought into play, including carpentry. A team of about 20 has been building WRTC boxes that will contain all equipment transported to individual sites. "Everything that is needed on the site, including antenna materials, arrives packed in the box. Only the mast is transported separately," said Andreas "Paul" Paulick, DL5CW. "This ensures that nothing gets lost in transit in the vehicles." Paulick noted that the mast, antenna, tent, and generator accessories are bulky enough not to fall through the cracks, but that small items "tend to disappear." Final antenna work also has been handled, with 65 rotators bolted to base plates and tested to make sure that they're working correctly. Guy sets for the masts are also complete. Organizers suggest the tension is building as July 12 approaches. A WRTC 2018 station test session in 2016. Fourteen North American teams qualified for WRTC 2018, including WRTC 2014 defending champions Daniel Craig, N6MJ, and Chris Hurlbut, KL9A, from the US. WRTC 2014 Chair Doug Grant, K1DG, merited a wild card slot, WRTC 2018 said. His teammate will be WRTC 2014 Competition Director Andy Blank, N2NT. WRTC 2018 also just announced a new team leader to take the place of a competitor who had to drop out of the event. Gilles Renucci, VA2EW, will head the new wild card team #6. He ended qualification for WRTC 2018 in 2nd place in area NA #7, which only had one team available. Arno Polinsky, DL1CW, will be his teammate. Nearly all WRTC 2018 participants got into Amateur Radio as teenagers; a WRTC 2018 survey showed an average age of just over 13 when first licensed. Team Leaders were chosen from each region, based on 2 years of qualifying contest scores and have chosen a teammate for the event. Wherever they're from, competitors must muster the stamina to sit at their radios for 24 hours straight if they want to finish on top. 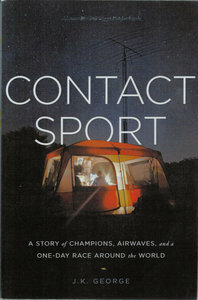 In Contact Sport, a narrative of WRTC 2014, author Jim George, N3BB, described the role that "extreme fatigue" played. "The final 4 hours were tough at every site," George wrote. Describing the operators at one site, he wrote, "The men couldn't keep their eyes open, were not able to concentrate, and had trouble pushing the right buttons on the radio and pressing the correct keys on the keyboard. Neither could sit any longer -- it was just too uncomfortable." WRTC 2018 organizers have ensured that all competing teams will operate from as level a playing field as possible. This includes not just topography, but antennas and even freedom from external noise sources. A referee will be at each station site to verify compliance with the rules and make decisions on any rule questions competitors may have. A WRTC 2018 station test site last summer. A real-time online scoreboard will keep "spectators" up to date on how the competing teams are faring. "We want to make sure that from all competition locations, the ongoing results in 1-minute intervals are available on a scoreboard," said Ben Büttner, DL6RAI, who leads the real-time scoreboard team. He said special attention was given to RFI, thermal stability, and redundancy in assembling the computer systems that will collect score data. Radio DARC will cover WRTC 2018 with two broadcasts in English, Saturday, July 14, at 1100 UTC and on Sunday, July 15, at 0900 UTC, on 6,070 kHz and on 13,860 kHz. The broadcasts will explain what WRTC 2018 is and how it works, and will include behind-the-scenes reports touching on the qualifying process, the competitors, and the volunteers. 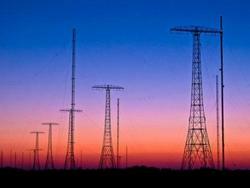 The transmitters for the Radio DARC program are in Vienna, Austria. Fred Dennin, WW4LL, and other stations in Georgia, will activate ARRL Headquarters station W1AW/4 for the IARU contest. The IARU HQ station will identify as NU1AW/9 with CW operation from the station of Craig Thompson, K9CT, and from the station of Jerry Rosalius, WB9Z, and Val Hotzfeld, NV9L -- both in Illinois. The 2018 IARU HF World Championship runs from July 14 at 1200 UTC to July 15 at 1200 UTC. These and other HQ stations count as multipliers in calculating IARU contest scores. Special event stations with 1 × 1 call signs will represent the original 13 US colonies, plus bonus stations WM3PEN in Philadelphia and GB13COL in Durham, England. Each special event station will have its own QRZ.com profile page. Participating stations try to contact all 13 Colony Stations plus the two bonus stations. Call signs and their respective states are K2A, New York; K2B, Virginia; K2C, Rhode Island; K2D, Connecticut; K2E, Delaware; K2F, Maryland; K2G, Georgia; K2H, Massachusetts; K2I, New Jersey; K2J, North Carolina; K2K, New Hampshire; K2L, South Carolina, and K2M, Pennsylvania. Additional information is on the 13 Colonies website. Sweden's SAQ has announced its annual Alexanderson Day VLF Transmission. Sweden's World Heritage Grimeton Radio Station SAQ Alexanderson alternator will be on the air on July 1 on 17.2 kHz to mark Alexanderson Day. 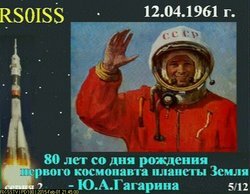 Three transmissions are scheduled: Startup/tuning at 0815 UTC, message transmission at 0845 UTC; startup/tuning at 1015 UTC, message transmission at 1045 UTC, and startup/tuning at 1215 UTC, message transmission at 1245 UTC. All three transmission events will be available via YouTube. Amateur Radio Station SK6SAQ will be active on CW (7.035 MHz or 14.035 MHz) or SSB (3.755 MHz), with two operating positions planned. Send reports to SAQ and SK6SAQ via email or the bureau. The World Heritage Grimeton Radio station site will be open to the public on Alexanderson Day. Members of the Great South Bay Amateur Radio Club (GSBARC) will remember those lost in the sinking of the USS San Diego. They will operate as W2NMY from July 14 until July 22 UTC to mark the centennial of the sinking of the armored cruiser on July 18, 1918, 12 miles off Fire Island, New York, and to honor the six sailors who died. NMY is a historical Fire Island call sign used by the US Navy and the US Coast Guard. Because the San Diego's onboard radio was not working, the captain dispatched the gunnery officer to the mainland, but by the time he returned 2 hours later with rescue vessels, it was too late. The San Diego became the only major warship lost by the US after its involvement in World War I. A Naval Court of Inquiry subsequently concluded that a mine laid by a German submarine had sunk the San Diego. W2NMY operation will be on all bands and modes. A downloadable certificate will be available for confirmed contacts. Contact GSBARC for more information. The International Amateur Radio Union (IARU) has welcomed the St. Kitts-Nevis-Anguilla Amateur Radio Society (SKNAARS) as its newest IARU member-society. IARU member-societies on May 28 completed voting on the proposed admission of SKNAARS to the IARU to represent St. Kitts & Nevis. SKNAARS does not claim to represent Anguilla, which is already represented in the IARU by the Anguilla Amateur Radio Society; the inclusion of Anguilla in the SKNAARS name dates to an earlier time. With 56 affirmative votes required for admission, 62 affirmative votes were cast, with no dissenting votes. SKNAARS thus becomes a member of the IARU and of IARU Region 2. Tad Cook, K7RA, Seattle, reports: Conditions were good for Field Day weekend, with no geomagnetic disruptions and solar flux and sunspot numbers relatively high for this part of the solar cycle. The sunspot numbers were 41, 34, and 16 for Friday, Saturday, and Sunday, while solar flux was 80.3, 77.1, and 74.5. By June 27, though, no sunspots were visible. The average daily sunspot number of 22.6 was down slightly from the previous week's 25.7. Average daily solar flux nudged up this week from 74 to 75.3, and the average planetary A index increased from 6.7 to 9.9. 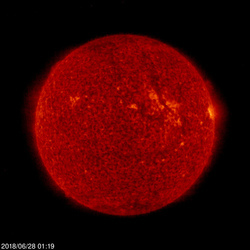 Predicted solar flux is 71 and 69 on June 28-29; 68 on June 30-July 6; 72 on July 7-13; 75 on July 14-15; 77 on July 16; 80 on July 17-19; 77 on July 20-21; 75 on July 22; 72 on July 23-24; 70 on July 25-26; 68 on July 27-August 2; 72 on August 3-9, and 75 on August 10-11. Predicted planetary A index is 10 and 8 on June 28-29; 5 on June 30 and July 1; 6 and 8 on July 2-3; 5 on July 4-14; 15 on July 15; 5 on July 16-19; 15 on July 20; 8 on July 21-22; 10, 25, 18, 12, and 8 on July 23-27; 5 on July 28-August 10, and 15 on August 11. Jon Jones, N0JK, reported a 6 meter opening from the midwest to Asia on June 21. As he described it, "A major sporadic-E opening on 50 MHz between Japan, China, Korea to North America June 21. Hundreds of contacts were made, most via FT8." More details can be found in the Friday Propagation Bulletin. Sunspot numbers for June 21-27 were 41, 41, 34, 16, 14, 12, and 0, with a mean of 22.6. The 10.7-centimeter flux was 81.5, 80.3, 77.1, 74.5, 72.8, 71.1, and 70, with a mean of 75.3. Estimated planetary A indices were 3, 4, 16, 7, 12, 20, and 7, with a mean of 9.9. Estimated mid-latitude A indices were 4, 4, 15, 8, 10, 17, and 7, with a mean of 9.3. Send your reports and observations to me.